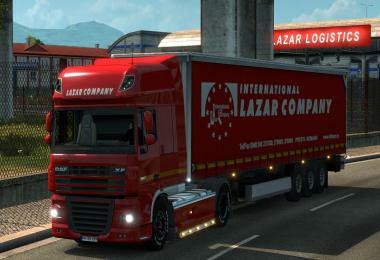 Two standalone trailers + a DAF XF skin + garage mod all with Lazar International Company branding. 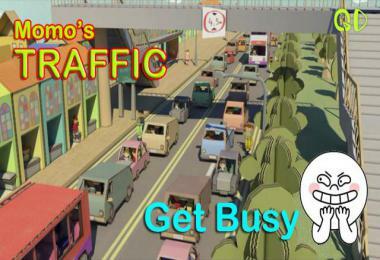 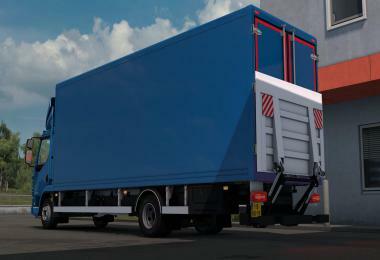 Both trailer are standalone and included in traffic. 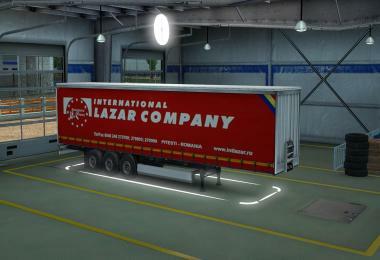 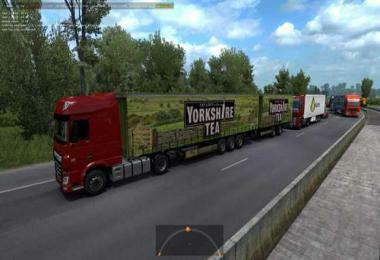 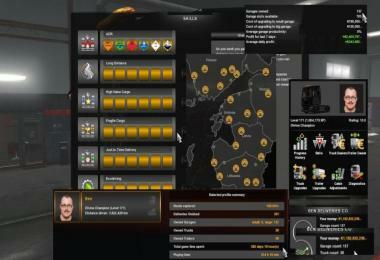 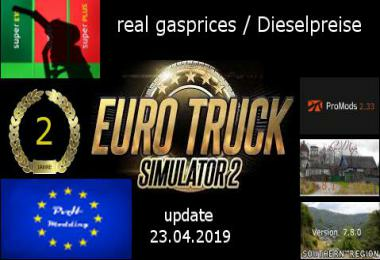 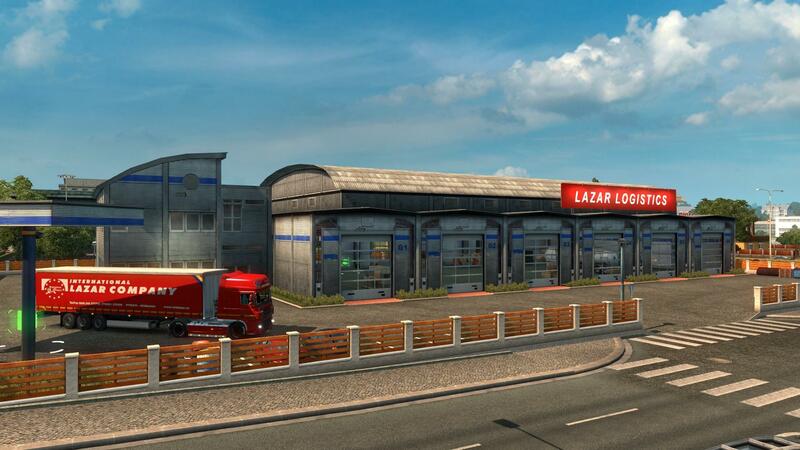 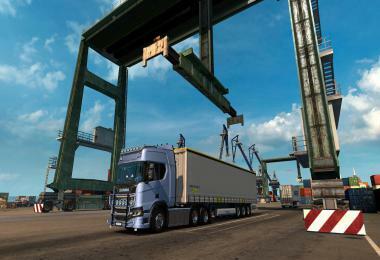 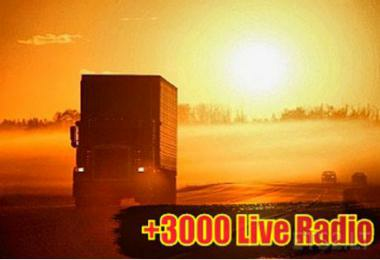 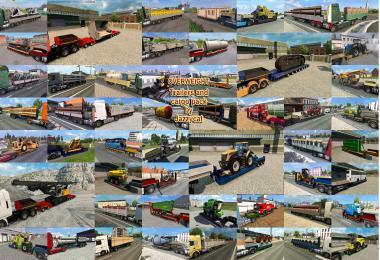 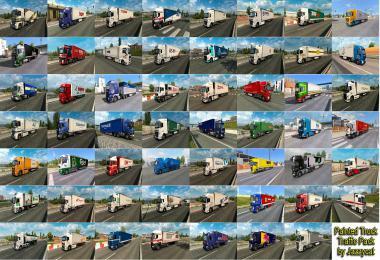 Lazar Internarional trailer_north.scs – delivers to northern companies too (Scandinavia DLC). 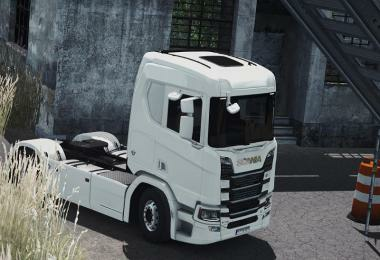 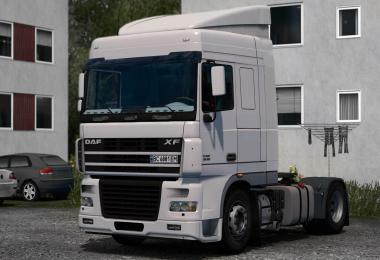 Skin is for SCS DAF XF truck. 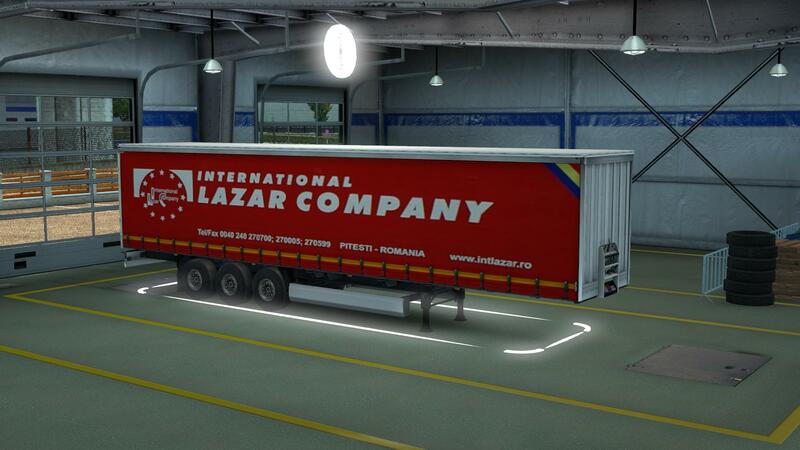 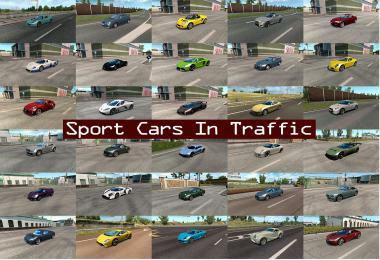 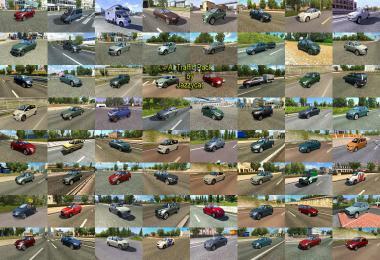 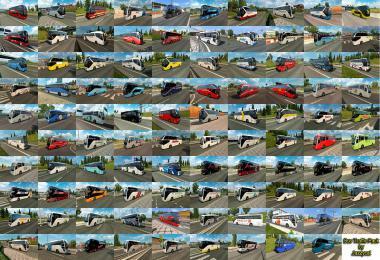 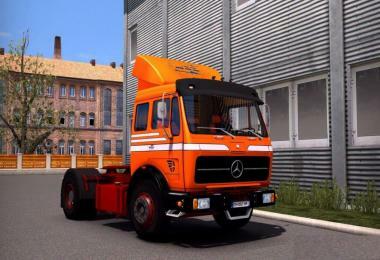 Also there is a garage mod, Lazar Logistics, which is an edit of pete379jp’s garage mod.